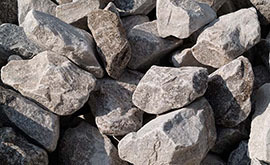 The aggregate production team specializes in the mining and processing of aggregate products to meet the specifications required for our customers. 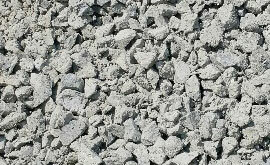 We have the capability and experience to crush not only natural materials but also recycled concrete, brick, and bituminous materials as well. Experience and the right equipment are the key factors for consistent, value-added production. 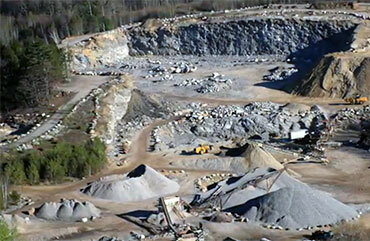 Quality assurance is a very important part of aggregate production. Therefore, our materials are tested frequently for quality control to ensure that we are meeting or exceeding the standards. Many of our products are MDOT approved, so you can depend on our high quality materials no matter the size of your project. 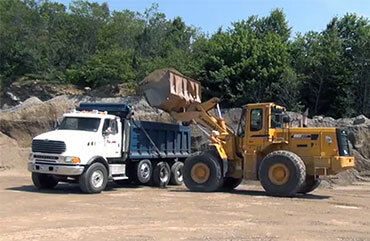 We have a large fleet of trucks ranging from one-tons to tri-axles able to meet your delivery needs. 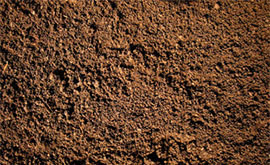 We have a long list of contractors which we deliver materials to on a regular basis. In addition, we also offer deliveries to residential properties with no minimum quantity required. 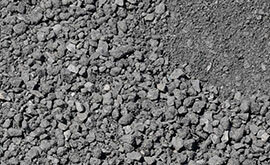 ROUND TAILINGS - 2"- 8"
Contact Our Main Office at (207) 725-7336 for delivery pricing and to confirm availability of listed products.